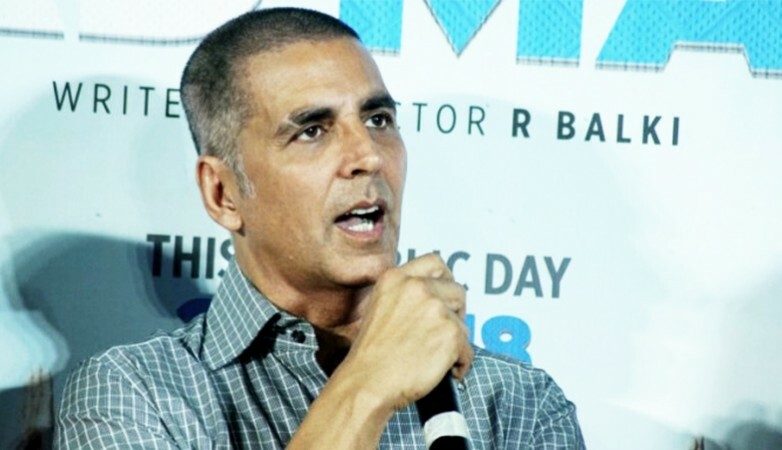 Akshay Kumar says his forthcoming film "Padman" is an honest subject. Akshay was present at the launch of PVR Icon with Kamal Gianchandani CEO, PVR Pictures on Thursday here. Asked about his expectations for the film and the research work involved, Akshay said: "I didn't do the research, my wife (Twinkle) did it. The concept is hers and it was written by R. Balki. It is a very honest subject which we have to bring in front of the Indian audience. It is a must subject which is why I went for it." Many celebrities have acquired theatres and actor Ajay Devgn is one of them. Is Akshay interested in acquiring such properties? He said: "No. I would like to only make cinema. I won't be able to do that (acquire theatres) because there will be too much work for me." Akshay was asked about the issue of Marathi films like "Deva" not being able to get screens for its release. "The content that Marathi films are providing is much better than Hindi cinema. I have watched them and made remakes of two such films. I have also made Marathi cinema. So, I think whatever small problem is there, has been solved," said Akshay. "Padman", directed by R. Balki, is based on Arunachalam Muruganantham, who created a revolution in the field of affordable menstrual hygiene. Produced by KriArj Entertainment, Mrs. Funnybones Movies, Hope Productions and Columbia Pictures, the film will release on January 26, 2018.